Cameron joined Integral in 2008 and is partnered with Randy McIntyre, operating under their Pure Advice brand. His practice focuses on maintaining the highest standards in financial planning, investment counselling, and relationship management. Prior to Integral, Cam worked for Telus Communications as a manager of community engagement in the National Capital Region. 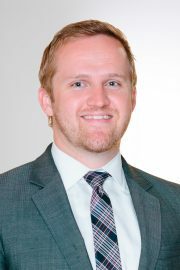 Cameron combines his knowledge of finance and passion for assisting people in order to provide advanced financial planning and help clients attain their long term goals. He currently supports clients in Ontario, Quebec, Manitoba, and Saskatchewan. Cameron holds a degree in Managerial and Operational Studies from the University of Western Ontario.